On December 12th, 1969, a cold day in Milan, Italy, a bomb explosion decimated the inside of the National Agrarian Bank which claimed the lives of more than a dozen innocent bystanders. One hour later, 3 more bombs would go off in different parts of the country. In total, at least 13 innocent people lost their lives, and more than 100 others were injured as a result of these inhumane attacks. This event sent shock waves throughout the country, and is one of the most significant happenings in Italy’s modern day history for the ensuing madness that followed. Just 7 months after the terrorist bombing of the bank, another explosion on a train in Gioia Tauro went off, murdering another 6 innocent people and injuring 72 more. The worst of these though, was the 1980 Bologna massacre, which killed 85 people and wounded another 200. In fact, as pointed out years later by the Italian Senator Giovanni Pellegrino, president of Italy’s parliamentary commission whilst investigating these attacks , “between January 1st, 1969 and December 31st, 1987, there have been in Italy 14,591 acts of violence with a political motivation. It is maybe worth remembering that these ‘acts’ have left behind 491 dead and 1,181 injured and maimed”. In other words, senseless terrorism became a recurring theme in the country. These parliamentary investigations, along with other probes, many of which were suppressed or outright covered up, would after 4 decades finally reveal CIA, NATO and MI6 meddling in Europe on a monumental scale. Although the UK and Germanintelligence agencies both had similar structures already put in place during world war 2, once the fighting had officially ended, the newly created CIA (in conjunction with former Nazi Reinhard Gehlen), along with the veteran MI6 agency, decided to continue a covert war against the ideology of communism and ‘left wing’ values, by setting up “stay behind armies” throughout Europe with the cooperation and assistance of various secret agencies, in an operation known officially as Gladio. The implications of his statement are colossal in scope for obvious reasons; namely because it brings into question our child like perception of the popular narrative and portrayal that is “terrorism”, as it does our opinion of the overall role and agenda of politicians and governments. In other words, our very perception of “reality” is shaken. Vincenzo today is rightfully serving a life sentence for a similar terrorist attack that resulted in 3 police officials deaths in 1972 which, much like the bombing of the train and the bank, was originally blamed on left wing groups by the media and the authorities for political reasons. To further corroborate this propaganda story, Marco Morin, an explosives investigator and “expert” who was covertly working for the Gladio system, claimed the explosives used were the same that a left wing organization known as the Red Brigades used. Felice Casson, a judge and magistrate in Italy who was presumably not bought and paid for, found this to be a deliberate lie and the explosives used were actually the same as employed by NATO. This revelation would eventually lead to the exposé of operation Gladio, which is ongoing to this day. * Finland also belongs to this list but the name of their “stay behind” army remains unknown. The trademark of these well executed highly skilled killings, aside from the “petty criminal motive”, as noted by police commissioner Julien Sapori, was to clearly terrorize the population. And, as a result, the citizens willingly surrendered more power to the government, which coincides with the strategy that Vincenzo Vinciguerra described in his interview featured above with Allan Francovich. Belgian Senator Roger Lallemand has stated, based on his research, that he believes these terrorist attacks were “the work of foreign governments or of intelligence services working for foreigners, a terrorism aimed at destabilising democratic society“. Furthermore, according to journalist Rene Haquin who dedicated much of his career to uncovering these events, one of the prime suspects in the killings — who also admitted to being connected to the Gladio structure in an interview with him — named Paul latinus (head of the radical Westland New Post group), allegedly committed suicide — something those close to him contest. In fact, many key suspects, former members and relevant individuals throughout the Gladio structure have either been killed by “suicide” or outright assassinated. In relation to the Brabant massacres, though, it has been comparatively well established, through testimony and research, that these psychotic acts were indeed Gladio related Operations. Unfortunately only three countries (Italy, Belgium and Switzerland) ever even held official investigations into the criminal units, and even though they did, the investigations were largely unproductive for obvious reasons. For the sake of readability, refraining from engaging in each and every one of these covert operations and their inherent ambiguity is necessary at this time. Based on research however, it should be mentioned that suspected Gladio operations include Turkey’s first ever coup in 1960, and the assassination of Turkish Prime Minister Adnan Menderes, as well as several terrorist attacks in Turkey that led to somewhere around 300 innocent people’s murders. In France, numerous attempted assassinations on French Prime Minister Charles de Gaulle who opposed being a part of NATO and had butted heads with the U.S. and UK governments often. The supposed suicide of Gladio stay behind chief François de Grossouvre, and the assassination of police official Jacques Massie because “he knew too much”, along with the disappearance of his family (his parents and 8 year old son included). In Germany, the alleged suicide of likely Gladio member Heinz Lembke while in police custody, and the Oktoberfest terrorist attack(which Lembke was directly linked to) where “high grade military explosives” were used in Germany, killing at least 12 innocent people and wounding another 200. In fact, to this day, the German government is still withholding secret documents about what happened in this bombing. In Spain, the Montejurra and Atocha massacres which killed 7 people and injured 7 more. In Greece, the military coup which resulted in a brutal dictatorship, the assassination of secret service agent Herbert Alboth in Switzerland and the assassination of former Italian prime minister Aldo Moro, amongst others, all have what can justifiably be considered suspicious links to the covert terrorist network of Gladio. Further research into every single one of these events is necessary. It should also be mentioned that in 1962, when Gladio was in full effect in Europe, the United States secret service (the CIA) did, in fact, cook up a plot to attack the local population through various acts of violence and terrorism, that were to be blamed on the Cuban government. This covert plan was entitled Operation Northwoods. Fortunately the proposal was rejected by then president John F. Kennedy before he was assassinated one year later. It should also be mentioned that declassified documents reveal the CIA manipulated investigations into his murder and focused on propagating the perception that Mr. Kennedy had been killed by a lone gunman with left wing Marxist values, named Lee Harvey Oswald; who himself actually consistently denied killing the president but was murdered before he could ever testify. JFK’s assassination was just one of about a dozen major hits within the United States that could potentially be connected to Gladio. Other assassinations worth mentioning during this time, include his younger brother Senator Robert F. Kennedy, Foreign Ambassador Orlando Letelier, musician John Lennon, civil rights leaders Medgar Evers, Malcolm X, Fred Hampton and Mark Clark, as well as Huey Newton and Martin Luther King Jr. — who twelve jurors in a civil trial in Memphis, Tennessee on December 8, 1999 ruled “Government agencies” guilty of killing — and Native American activist Anna Mae Aquash, amongst others. It should also be further mentioned that there was an Operation entitled Condor going on in South America connected to Gladio during this time as well. Once again, various intelligence agencies and their associates were targeting people with suspected “left wing” values and ideals. It resulted in tens of thousands of murders and major crimes against humanity. This operation was fully backed by the CIA and U.S. government. Operation Gladio was in progress in Europe for more than 40 years before it was officially exposed in 1990 by judge Felice Casson. Consequently, Prime Minister Giulio Andreotti, who had previously outright denied (under oath) the existence of the secret structure known as Gladio, was forced to admit that it was, in fact, real. Once these revelations surfaced, despite Andreotti confirming that a meeting in relation to Gladio had just been held a month prior to his confession, it was claimed in politically predictable fashion that the covert operation would now be scrapped due to public protest but is this really true? From 1979 to 1989 the CIA, MI6, ISI, Egyptian, Saudi Arabian and Chinese governments, covertly armed, financed and trained a diverse group of militant Islamic fighters (in partnership with Osama bin Laden) known as the Mujaheddin. According to the official story, the goal was to overthrow the Afghan communist government, which had recently come to power, and then draw the Russian Soviet Union into the conflict in order to facilitate its collapse. The Operation was one of the most costly in the agency’s known history and went by the code-name Cyclone, costing U.S. taxpayers at least several billion dollars. It is from this covert operation that the radical insurgencies known as “Al Qaeda” and “ISIS” — as well as CIA links to them — can most popularly be traced back totoday. What is less well known however, is that back in 2001 an FBI whistle blower named Sibel Edmonds stumbled upon top secret information implicating the U.S. government in not only having prior knowledge that there would be a terrorist attack on U.S. soil, but that certain factions within the government itself, had a “very intimate relationship” with Bin Laden and his radical Islamic network, during this time and even after the attacks. In conjunction with these shocking findings, Edmonds states she discovered that Fethullah Gülen, a religious leader who has to date setup several hundred Muslim schools and mosques throughout central Asia, and a lesser number in the United States, is actually a CIA asset intent on quietly spreading radical Islam under the public disguise of tolerance and peace. These claims have been further corroborated indirectly by former MIT (Turkish Intelligence) Chief Osman Nuri Gundes. Sibel Edmonds states that this, along with the radical Islamic “intimate relationship” mentioned above, is all rooted in Operation Gladio, but is known today, at least as recognized by the FBI, as Gladio B. What makes Edmond’s case particularly intriguing and tangible is, not only high ranking officials who have vouched for her credibility, but the U.S government’s overt attempts to suppress her findings. When Edmonds first set out to expose corruption within the FBI to her superiors she was told to “basically shut up” and, in time, eventually fired. The reviews for Edmonds’ book speak for themselves. Click on the image to be redirected. At this point in the article, it is necessary to interject and apprise the reader concerning another slightly less disturbing, but equally important operation undertaken by the CIA, entitled Mockingbird. Setup around the same time as Operation Gladio, but with the intention of controlling the mainstream media narrative and other major centers of information distribution, including publishing houses and Hollywood, Operation Mockingbird had major media sources peddling the CIA’s propaganda, both domestically and internationally. This included reputable outlets, such as Reuters, the Associated Press, NBC, CBS, ABC, the New York Times, the Washington Post, Life magazine, Christian Science Monitor, United Press National, the Miami Herald, Newsweek, Hearst Newspapers, the New York Herald‑Tribune, the Saturday‑Evening Post, Scripps‑Howard Newspapers, Mutual Broadcasting System, the New York Daily Mirror, Chicago Daily News, Miami News and the Washington Star, amongst others. In the 1970’s, stories began to emerge about the CIA’s use of the media as a propaganda tool to control public opinion. This culminated into the Frank Church investigations (subsequently censored and manipulated by the CIA), which was setup to investigate the matter further. Upon official disclosure, of course, it was claimed by then head of the Central Intelligence Agency, George Bush Sr, that it would be dissolved. Numerous researchers, however, believe this to be a lie. Considering Sibel Edmonds case, it is fairly obvious to understand why they are probably correct. To further corroborate their logical thesis, in 1998 and 1999 the United States Army’s Psychological Operations unit was discovered infiltrating both NPR and CNN. After being exposed to the public, it was likewise claimed that it would be scrapped. Additionally, Anderson Cooper, from the powerful Vanderbilt family, is also a former intern with the CIA. And, a more recent propaganda campaign that further demonstrates the U.S. government’s unending propaganda campaign, is the Pentagon military analyst program that started in 2002. This covert operation employed more than 75 retired high ranking military officials, who presented themselves as “independent experts” throughout the mainstream media. Their job was to use propaganda to inspire the N. American public to support the wars of Iraq and Afghanistan, along with other very questionable policies of the Bush administration. It was later discovered that not only were these retired military officials receiving money from the government on the side, but most of them were in bed with the military industrial complex too. Combined they represented the business interests of more than 150 military contractors. Once again, after being exposed in 2008, it was claimed that this program would be cancelled. The BBC, likewise, has also been used by the British MI6 for propaganda purposes in the past,  and the outlet has also engaged in censorship. In fact, the BBC has spent millions of pounds in bribe money to keep their staff members quiet. Additionally, they have been caught propagating an image from 2003 of an Iraqi massacre, as if it was taking place in Syria in 2012. This censorship war, between Edmonds and the government, which has only been partially summarized in this article, is what earned her the title, from the highly esteemed ACLU, as“the most gagged person in the history of the United States of America”. Yet, in spite of the overwhelming odds, Edmonds refused to back down, and chose to research the procedure and process of self publishing, which eventually culminated in the release of her first book, “Classified Woman: The Sibel Edmonds Story“. Additionally, in lieu of mainstream media censorship, Sibel decided to turn to the alternative media, creating her own website and blog, and began networking with other independent researchers within the alternative sphere of influence, such as James Corbett of the Corbett Report. She is also founder of the National Security Whistleblowers Coalition, an organization of high ranking whistleblowers dedicated to holding the government accountable for corruption. And finally, Edmonds has released a “fictional” book last year about Gladio B, that is undoubtedly more Truth than fiction, but for legal purposes it has been branded as such. In June of 2013, the world was told that Edward Snowden leaked top secret documents about a highly sophisticated and secretive surveillance program to a journalist by the name of Glenn Greenwald, who subsequently shared a small fraction of these “revelations” with the world through the Guardian and the Washington Post. The world was presented with an entertaining tale of a Hollywood chase, in which Snowden had to flee the country and sacrifice all that he knew and loved, in order to share his disturbing discoveries with the public. After more than 6 months of the the documents initial release date though, accompanied with a great deal of media hype and hysteria, only 1% of those actual documents had even been released to the public. Yet, during this time, Edward Snowden was named the Guardian’s person of the year and Time magazine’s runner up for person of the year (just behind the Pope). 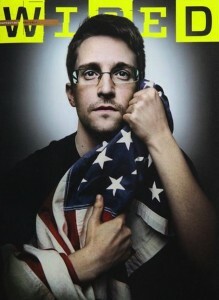 He was also later awarded Germany’s whistleblower prize and given the Sam Adams award, amongst other honors. Today, more than 2 years later, we still only know about a fraction of these documents. In fact, it is estimated that if this pattern of disclosure were to continue, it would take 20-620 years to free all documents. Hopefully I do not have to explain why this story is absolutely absurd. It is also interesting to note, various governments throughout the world consider Snowden to be a major criminal for “stealing” those documents, but Glenn Greenwald (who has since been given those documents) has not only been given a free pass from government prosecution, but even landed a book deal with a major publication (which included further disclosure of top secret documents that should, in this writer’s opinion, of been made available to the public rather than used as a bargaining tool for profit). Then, after a bidding war between major film studios, Greenwald sold the rights of his award winning book to Sony Pictures Entertainment in a lucrative deal. After these affairs, Greenwald then went into a business deal with billionaire Pierre Omidyar, who was party to the U.S. government led boycott of Wikileaks back in 2010 for publishing state secrets. Edmonds outrage is absolutely justified when one considers her personal story and undeserving drama. How is it that this woman can be gagged and censored so effectively, to where the media avoids her like the plague, book publishers flatly turn her away and most people around the world still have no idea who she even is, but Edward Snowden, a man who has undoubtedly become a cult like hero and celebrity — particularly in alternative media — is flooded with mainstream media attention and further propagated through an award winning book and a Hollywood film? It conflicts with the way the system itself functions. It would do us well to remind ourselves that the Washington Post, who in tandum broke these stories first with the Guardian, was, and potentially still is, in partnership with the CIA (as are many of the mainstream media outlets that have so generously dedicated their time to helping hype up the Snowden story). I would like to make it resoundingly clear that I am not stating former CIA/NSA agent Snowden and journalist Glenn Greenwald are consciously and covertly working for the system (although I do not rule out that possibility), and would like to even state that if the story about Snowden is true, his courage and sacrifice are admirable. What I am specifically suggesting, is that Snowden’s “revelations” have not actually been paradigm shifting to any informed researcher or critical thinker at all. The ruling class have for centuries, possibly millennia, spied on the common people for fear of rebellion. Naturally, as technology has grown so has their capability to administer our movements. In relation to the NSA, intelligence analyst James Bamford has written extensively for decades on the agencies spying practices and overall history. What the Snowden story has done, above all else, is limit productive debate to the confines of whether or not he is a hero or a villain, and whether this level of surveillance is necessary or not — topics which are undoubtedly entertaining but invariably ineffectual. Meanwhile, “terrorism” continues to spread across the globe at an alarming rate, which provides the justification for the surveillance state in the first place. Probable causes behind this spread (ie. Gladio) however, are not even vaguely mentioned by the media to the public, when they are incontrovertibly pertinent. In other words, the establishment undoubtedly has an agenda in broadcasting Snowden’s story, otherwise they would avoid him, just like they so obviously do with Edmonds. Based on the suppression of Sibel Edmonds findings, and the documented history validating Operation Gladio as being a colossal covert operation that was kept hidden from the public for more than 40 years — along with the dramatic spike in “terrorist attacks” across the globe — one could justifiably reason that we should be focusing far more attention on exploring the potential for “Gladio B”, rather than the moot topic and controversial symptom of surveillance, which sadly, much of the public does not even care for to begin with. The question is, is there any further evidence to corroborate Sibel Edmonds revelations? Michael Springman was the former head consular of the American visa section in Jeddah, Saudi Arabia, from September 1987 to March 1989; which was during the same time period that the CIA armed, funded and trained the militant Islamic fighters in Operation Cyclone(mentioned earlier in this article). According to Springman, while posted there, he was ordered “by high level State Department officials” to ultimately “issue visas to terrorists recruited by the CIA and its asset Osama bin Laden.” Prior to discovering what was actually going on though, Springman, like Edmonds, tried to do the right thing by reporting what he perceived as “visa fraud” to his superiors. Instead, just like Edmonds, he was told to “shut up” and when he continued to press the issue for investigation, he was eventually fired. 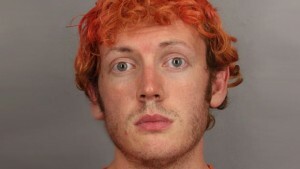 He then took his story to the mainstream media but, just like Edmonds, he was blackballed. What is particularly interesting in this case, besides the obvious, is that the majority of the alleged hijackers from the events of “9/11” actually received their U.S. visas from this same strategic location, despite not one of their visa applications actually being filled out correctly. This vaguely corroborates Sibel Edmonds top secret revelations of the “intimate” connections enjoyed between the CIA and Al Qaeda, since Springman vividly recalls how the intelligence agency intervened on behalf of the radical fighters, when he tried to prevent them from getting visas to travel to the United States. It also suggests a continued structure and partnership between the CIA and radical Islamists, in conjunction with the Saudi Arabian government, but is there still proof of this today? In 2011, an incessant propaganda campaign, began aggressively demonizing MuammarGaddafi in North Africa, demanding him to step down. Not surprisingly, this coincided with a covert operation by the CIA and MI6, which was eventually followed by a massive military bombing campaign, by NATO, to get rid of the African leader. It is estimated that thousands of innocent civilians, including children, were murdered as a result of this conflict; many at the hands of NATO and the radical fighters they backed, some of which NATO has continually ignored. Despite this, we were told that the campaign was all about “protecting Libyan civilians” and getting rid of a “tyrant“, in order to “prevent a massacre“. As humane and politically persuasive as this all sounds, it simply does not coincide with the verifiable facts. The reality is that Libya actually experienced the highest standard of living in all of Africaunder Gaddafi. Before the colonel rose to power, the literacy rate in Libya was just 10%.The country was also one of the poorest in the whole world. Gaddafi’s government then lifted the literacy rate to an impressive 89.5% and the age expectancy to 76. Schooling, including University, was absolutely free, and so was health care, something the United States has never been able to boast of in its entire history. In light of these “new” revelations, and considering the condition of Libya today, as well reports that demonstrate Gadaffi was actually willing to step down peacefully, it should be fairly obvious to the reader that NATO and their masters undoubtedly had ulterior motives of some sort. Considering Libya has the largest oil reserves in all of Africa and the largest irrigation project on the planet (as a result of massive natural water reserves), and Gaddafi’s plan to institute a gold dinar currency that would have effectively challenged the paper fiat empire of the cabal commonly referred to as the international bankers, a more sensible picture that aligns with the apathy of politics begins to emerge. But, as you continue to read on, there is an agenda even more ambitious at play. Not long after Gaddafi was humiliated and then killed on video for all the world to see, ‘Al Qaeda’ flags were proudly flown over Libya’s capital. Consequently, an Islamic state was setup based on Sharia law. While people who rely on mainstream media sources for their understanding of geopolitical events may have found this to be unexpected and shocking, those who were even slightly informed and paying attention did not. The “rebels” that NATO (particularly the U.S. government) openly supported in Libya, were an organization of fighters that were largely comprised of a group of extremists from the Libyan Islamic Fighting Group (LIFG). This group was designated by both the U.S.and UK governments to be a terrorist organization several years earlier to the actual invasion. Likewise, they were also listed as a terrorist group by the UN on the 6th of October 2001 who were “associated with Al-Qaida“, something one of their leaders openly admitted too. Despite this overwhelming incontestable evidence, demonstrating the West and their affiliates knowingly supported internationally recognized terrorists, they still chose to fund them anyways. And, through the CIA, MI6, DGSE, and other agencies, even armed them and trained them. It should be further explained that this terrorist organization was created by radicals who were fighting against the Soviets during the CIA’s Operation Cyclone, which once again serves to corroborate Sibel Edmonds testimony. Although further verification is not even needed, it was later on concluded by an independent investigation, headed by former CIA agents, high ranking military officials and other reputable figures, that the Obama administration knowingly funneled half a billion dollars in weapons aid to, not just the LIFG, but other Al Qaeda linked fighters as well. Gadaffi, who was a fierce opponent of radical Islam and Al Qaeda, tried to explain this to the world but no one would listen to him or believe him. It should also be mentioned that back in 1995, according to MI5 whistleblower’s David Shayler and Annie Machon, the MI6 came up with an operation to assassinate Gadaffi as well. The plan called for employing radical Islamic fighters to bomb Gadaffi’s car, but instead resulted in the bombing of innocent civilians. This claim was further corroborated by French intelligence analysts. It should be made very clear that this was exposed by David Shayler back in 1998, more than ten years before Gadaffi was overthrown and subsequently murdered. Furthermore, what Annie and David found, was the MI5 was also illegally spying on people who expressed left wing ideals and they even allowed terrorist attacks to take place within the UK, which they could’ve prevented. David would later be jailed for leaking classified documents to the press. May I remind you that this all happened after the authorities claimed Operation Gladio had already ceased, yet this all sounds remarkably familiar by way of comparison. When we consider the recent covert operation in Libya, that it is an irrefutable fact that Western governments and their affiliates knowingly trained, armed and funded an officially designated terrorist group, and how the country has now turned into a strict Islamic state, and a central hub and breeding grounds for terrorists that are carrying out further operations in North Africa and Syria, amongst other places, the picture becomes increasingly clearer; Gladio, as described by Sibel Edmonds, is still in effect. 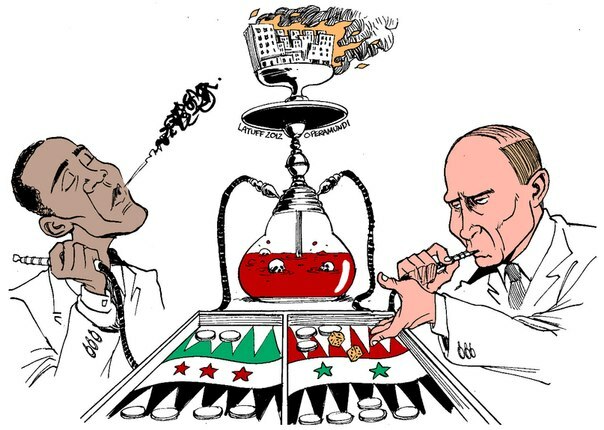 Disguised, once again, as a “humanitarian” intervention to save “innocent people” from a brutal “dictator“, the ongoing attempt to overthrow Bashar Al Assad in Syria is closely linked to the overthrow of Gadaffi in North Africa. This is not just because of the obvious methodology, but also because weapons have actually been directly transported from Libya into Syria, which convincing evidence suggests was facilitated by the CIA. In conjunction with this illegal smuggling of weaponry into the country, the new Western installed Libyan government has also sent their radical fighters into Syria. Naturally, this was followed by the training expertise of the CIA, MI6, and DGSE, as well as hundreds of millions of dollars in taxpayers aid to the so called “moderate” fighters. Not surprisingly, this aid “accidentally” went to ISIS and Al Qaeda, and these “moderate fighters” also ended up pledging allegiance to them. In spite of this brilliant and sinister strategy that has afforded the agency impunity throughout the bulk of its criminal history, irrefutable evidence of Western government collusion with radical Islam in Syria, is highlighting in a declassified top secret DOD report from 2012, that not only confirms “The West, Gulf countries and Turkey” support “The Salafist, the Muslim Brotherhood, and AQI (Al qaeda in Iraq)“, but also their desire for “a declared or undeclared Salafist principality,” to “isolate the Syrian regime“. What this means in layman terms, is NATO (led by the U.S.) and their allies officially supported radical Islamic fighters in Syria, including Al Qaeda in Iraq, which is the predecessor of ISIS and officially declared itself to be ISIS in April of 2013. Retired Lieutenant General Michael Flynn, who was in charge of the organization (DIA) compiling the intelligence on this report, has explained in an interview that “it was a willful decision”by the Obama administration to knowingly support these Islamic terrorists which culminated in the creation of ISIS. Excerpt from Al Jazeera of Medhi Hasan’s interview with retired Lieutenant General Michael Flynn. Full interview can be watched HERE. It should also be mentioned that, similar to the MI6 plotting against Gaddafi more than 10 years earlier in Libya, Wikileaks revealed that the U.S. government was, similarly, plotting against the Syrian government several years before the initial conflict had even begun. It is also alleged by the former French Foreign Minister, Roland Dumas, that “Britain was organizing an invasion of rebels into Syria” 2 years in advance as well. Once again, just like in Libya, the support for radical Islamic terrorists by the Western ruling class and their affiliates, is undeniable. Thus far, this essay has demonstrated through irrefutable, and verifiable, evidence that major governments around the world have knowingly financed, armed and even trained terrorists. Furthermore, whistleblowers who could expose this criminality have been gagged and censored, even by the mainstream media, which has been used for decades to construct and manipulate public opinion. The ramifications of this unsettling Truth can be overwhelming to deal with, since it forces us to confront how little we know about politics and the world at large. Furthermore, historical happenings that are generally dismissed as ‘conspiracy theory’ for implicating the government, such as the well publicized and broadcasted terrorist attacks of 9/11 in New York, the 7/7 attacks in London, the 2004 Madrid bombings, the Boston Marathon bombing in 2013, or the more recent Paris Attacks, along with so many other events, including seemingly sporadic massacres, such as the Aurora Colorado theater killings or the more recent San Bernardino shootings, amongst others, all become justifiable topics of intense research and discussion — since they all echo the menacing methodology of Gladio, where cover ups, inconsistencies and even outright lies are all common themes; always resulting in furthering a particular agenda, as voiced directly, or indirectly, through the mainstream media. In relation to these unending “civilian” shootings that serve to spread chaos and hysteria throughout the United States, it would do the reader well to also research another inhumane program conducted by the CIA on the United States’ own population; code named MKULTRA. 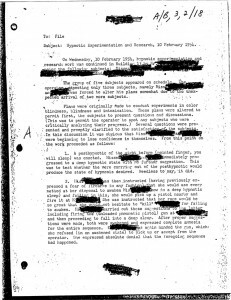 Although the majority of these documents were destroyed by the CIA, surviving records clearly show that more than 60 years ago the malicious agency had already developed a way of creating a sleeper assassin. Their experiment demonstrated that they were able to brainwash a regular citizen, who actually had a phobia of guns, into carrying out a hypothetical assassination plot without conscious awareness of ever even doing so. Once again, this is an historical fact, verified by the governments own official documents. Of the many assassinations shrouded in conspiracy and cover up throughout the United States modern day history, one in particular worth mentioning, is the murder of Robert F. Kennedy, brother of JFK, allegedly gunned down by Palestinian native Sirhan Sirhan, and propagated as being motivated by senator Kennedy’s support for Israel. What was not mentioned by the mainstream media however, is that the FBI and LAPD manipulated the investigation; the LAPD bullied witness Sandra Serrano into changing her story, they changed Nina Rhodes-Hughes testimony, which had originally implicated another gunman, and even destroyed forensic evidence, including photographs which were taken during the shooting. Additionally, all eye witness accounts placed Sirhan somewhere between 2 to 6 feet in front of RFK, but the autopsy showed he was shot from behind within inches. Furthermore, Sirhans gun (.22 caliber Iver-Johnson) could only hold 8 bullets, yet several witnesses claim more than 8 shots were fired. Audio expert, Phillip van Praag, and forensic expert, Robert Joling, have since corroborated their testimony through sophisticated technology able to analyze the audio of the shooting, indicating that at least 13 shots were fired from two different locations. What makes this especially interesting though, in relation to the greater topic in question, is Sirhan claimed amnesia for the entire event which has been further corroborated by psychiatrists Dr. Daniel Brown, Dr. Eduard Simson-Kallas and Dr. Bernard Diamond. In more recent history, an event eerily similar to the Sirhan Sirhan shooting, is the Colorado “Batman” theater shooting; in which James Holmes allegedly singlehandedly gunned down 12 innocent civilians and injured 58 others. 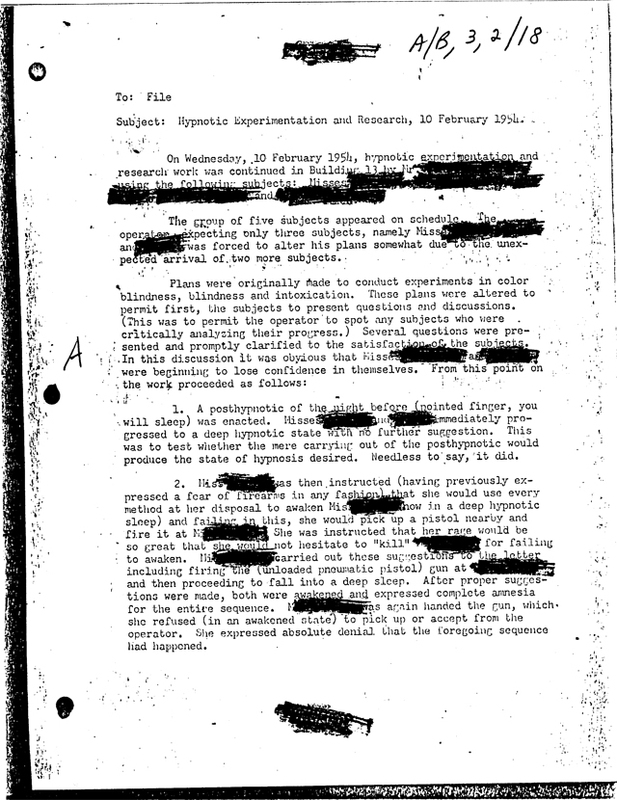 Not only did multiple eye witness accounts claim Holmes had help from someone, which was further corroborated by police audio, as well as finding a second gas mask on the far side of the parking lot, but, just like Sirhan Sirhan, Holmes (who was found shortly after the massacre awaiting arrest calmly in the parking lot) claimed amnesia for the entire event. Furthermore, while in prison, Holmes actually told his cellmate he believed he had been brainwashed by his psychiatrist Dr. Lynne Fenton, who happens to also be an ex employee of the US military. More important than this link though, the University of Denver, which is where Holmes went to school and Fenton worked as his psychiatrist, was a key location in the CIA’s illegal MKULTRA program relating to mind control. In addition to this relevant information, Holmes had no prior criminal record, was an absolutely brilliant student with a bright future ahead of him and had no military training. Excerpt of Max Keiser’s interview with Robert David Steele. Full interview can be watched HERE. The most recent plot broadcasted throughout the mainstream media, in relation to these phony terror plots, is that the FBI stopped ISIS from buying nuclear weapons. What is not mentioned however, is not one ISIS fighter was ever even involved in this ridiculous staged operation, in which FBI agents were actually the ones pretending to be members of the radical Islamic group. As you can see, by the level of deception between these phony cooked up terror plots created by factions within the FBI, in order to promote the illusion of the threat of terrorism, and the false flag plots cooked up by factions within the CIA (ie. Operation Northwoods) to create actual threats of terrorism, the intention is clearly insidious and demonstrates that the greatest threat to the population, both physically and psychologically, is coming from within the United States government itself. Whether it be slavery and colonization, disguised as a humanitarian campaign at the behest of a benevolent Being, or the spread of corporate empire disguised as a campaign to spread “democracy” and “freedom”, the ruling class and their affiliates, throughout history, have relied heavily upon clever methods of psychological exploitation, and carefully constructed lies and illusions, to manipulate the common people into furthering their selfish and psychotic agendas. In a world that is as abundant, and plentiful, in resources and scientific technology as this one, where well over 95% of our species value peace, happiness, fairness, kindness, justice, equal opportunity, and freedom, the only way it is possible for their unlikely opposites to thrive… war, hunger, scarcity, poverty, racism, corruption, greed and fear, is through an unusually abundant amount of ignorance and bigotry. When we learn that a very small minority actually benefits from things like war, scarcity, corruption, racism and greed, and this minority are also largely responsible for that unusual amount of ignorance and bigotry, that so dutifully dominates the minds of the bulk of the masses — particularly through television and covert operations — it becomes fairly obvious as to what is going on here; manipulation on a massive scale. Their power over us though, is sternly predicated upon lies and convoluted propaganda. Their whole system and empire is built upon our backs through interminable manipulation and subsequent exploitation. We think of them as being more powerful than we are, but they are actually nothing without us. Even within the CIA, FBI and government structure overall, there are many powerful allies to be found, they simply need to be disillusioned. Within this essay alone, that has been made very clear with the likes of individuals such as Sibel Edmonds, Michael Springman, David Shayler and Annie Machon, amongst others. In other words, those who knowingly and consciously perpetrate acts of “evil” are a very small fraction of the population, and they absolutely need us but we do not them. They need to keep us ignorant, entertained, divided and, above all else, subservient. They need us to support their insane wars, to work for their backward system, to not question authority or the official story, and to do everything, and anything that they can, to prevent us from discovering their true motives and intentions. Because once we do, we become disillusioned, and once we become disillusioned their power over us and this world begins to fade away, because it is firmly rooted in the fleeting power of illusion. In order to facilitate this disillusionment, we must use the vehicle of verifiable fact based information. Information, that not even the most indoctrinated of minds can attempt to refute without exposing the absurdity of their conditioned and uncompromising bias. I sincerely hope that this essay has provided you with some of that information and, above all else, inspires you to get involved and take action. Whether it be a simple share through social media, or studying this material and spreading it through your own personal creative discourse, everything, regardless of how small it may seem — everything — makes a difference. In relation to this essay, although rich in relevant content and undoubtedly insightful regarding pertinent events, it is still just the tip of the iceberg. As a result, I will include a list of applicable readings to further enlighten those who seek to dig deeper into the subject matter mentioned herein — particularly into the topic of Gladio. Additionally, it should me mentioned that throughout recent history, the threat of communism has been propagated by most historians and the mainstream media as being the justification, or at least the primary motive, for the inexcusable criminal activities mentioned in this essay. But the Truth of the matter is, the Russian revolution that gave rise to mainstream communism was largely financed and controlled by the Western capitalist “elites”, as was communist Russia’s overall industrial development. This was captured and very well documented through the absolutely brilliant research of professor Antony Sutton. In other words, what is being done with “Islamic terrorism” today, has already been done in the past with the threat of communism. It is an exaggerated, and largely fabricated threat, to justify the ruling class’s obsession with expanding their empire and power. And, at the highest recognizable level, the plan has always been about moving closer and closer towards an unprecedented form of global government. I will demonstrate this in detail in my next essay, along with why the world should have major reservations about the propagation of Vladmir Putin as being some sort of a savior and hero. The great war that has gone on for as long as history records — and presumably before then — is the battle for the mind my friends. And, as I write these words, this battle is now at a major historical tipping point; where the ruling class are beginning to finally lose control. Consequently, their panic is being expressed, most visibly, through what is increasingly becoming reckless efforts to manipulate our perception, to incite division between us, and utilize every possible avenue that they can to maintain their fading control. Do not let these deceivers fool you into playing their game though, regardless of race, religion, geographic location, or other, we are all very much the same within. And we, the common people, simply want to live in a peaceful world, where kindness, freedom, integrity and happiness abound, instead of corruption, deceit, scarcity, hatred and greed. Our dreams of a better world are absolutely attainable, but first we must fight back. And by fight back, I mean educate yourself and then educate others. The revolution we need is a revolution of the mind. In a world drowning in illusions and lies, there is absolutely nothing more powerful than the spread of verifiable Truth. We are all responsible for the future of this planet, and the only way we can create a better one is through personal responsibility, followed by action, unity, solidarity and team work. Please help me to spread this detailed work and overall message; Another world is possible, but it is up to us to create it. ALL MY WORK IS OPEN SOURCE AND I ENCOURAGE IT TO BE REPRODUCED. I ONLY ASK THAT YOU GIVE ME CREDIT, BOTH BEFORE AND AFTER, IN AN EFFORT TO HELP ME BUILD A FORMIDABLE FOLLOWING OF PEOPLE TRULY INTENT ON LEARNING AND CREATING POSITIVE CHANGE. *I would like to make it very clear that I do not vouch fully and wholly for anyone’s research. It is up to the viewer to filter and further research for themselves. I am only willing to take full responsibility for the credibility of my own personal writings. Alex Constantine, Mary Louise, Steve Kangas, Angus Mackenzie. -Mr. Ilja Janitskin is the publisher and Chief Editor of controversial Finnish language publication the MV-Lehti. -He was recently arrested at his home in Andorra, based on 46 cases of hoax allegations issued by the Finnish Public prosecutor. -Presently he is under police custody at a hospital in Andorra, waiting for a cancer operation while Finnish officials are hurrying to process his extradition to Finland. -Mr. Janitskin is a respected international journalist with no criminal background or criminal record. -Mr. Janitskin is running for a candidacy in Finnish Presidential election 2018. -MV-Lehti is an on-line publication, legally operating from Spain under Spanish legislation. -Journalistic and editorial line of MV-Lehti is known for it’s vivid language and disregard of political correctness and has therefore woken much controversy. However it has not been charged for violating any Spanish laws. -All accusations against MV-Lehti and Mr. Janitskin being a racist hate monger, ultra-nationalist etc. are based on a vicious smear campaign to ruin his good reputation and presidential election campaign. -Allegations against Mr. Janitskin have been primarily tailored by Finland’s biggest media house ”Sanoma International”. Mr. Janitskin and MV-Lehti have rigorously exposed numerous fake-news and morally questionable journalistic practices conducted by publications and journalists of Sanoma Internationalas well as YLE, the Finnish National Broadcasting Company. It is not surprising, that Sanoma International is the main plaintiff on hoax allegations against Mr. Janitskin. -Based on bogus allegations, an Interpol arrest warrant was issued, though no actual criminal charges were pressed and Mr. Janitskin never declined cooperation with Finnish law enforcement. This is unheard of in Finnish legal history! Mr. Ilja Janitskin was taken into custody by Interpol agents at his home in Andorra Friday morning August the 4th 2017 and transported to a court hearing. Based on an international Interpol arrest warrant, the local court ordered Mr. Janitskin to be held in custody pending his possible extradition to Finland. Mr. Janitskin is wanted for questioning by Finnish police on suspicion of a list of fabricated offences ranging from ”hate speech” to hoax copyright violations. No official charges have been pressed!!! Earlier this summer, Mr Janitskin was diagnosed with cancer. He is scheduled for a major surgery on August 16th 2017 in La Vella, Andorra. It is evident that all allegations are based on political witch-hunt with a goal to silence his publication MV-lehti, and to sabotage his presidential election campaign. MV-lehti is among top 5 most read online news media in Finland. Finnish police have raided and violently torn down several election stands run by Mr Janitskin’s presidential campaign workers. Some of his supporters have been beaten down and ill-treated by the Finnish police force. Numerous supporters of Mr. Janitskin have been arrested, interrogated and become a subject to police brutality. Mainstream media in Finland are appalled by MV-lehti’s direct line of journalism and disregard of political correctness. Furthermore, MV-lehti has exposed numerous issues of malpractice and corruption among politicians, and has openly exposed mainstream media and their journalists about publishing fake news and lies. This is why the mainstream media and leading politicians want to shut MV-lehti down and to silence Mr. Janitskin. Based on reasons beyond comprehension, all court hearings concerning Mr. Janitskin have been held with closed doors and in secrecy, a conduct usually practised in the Finnish legal system only when minors are concerned. Mr. Janitskin has called and wants all court hearings to be public. When he published the court papers concerning his own case in MV-lehti, the court added ”publishing secret documents” to the list of allegations. Mr. Janitskin has been denied access to justice by the Finnish Supreme Court. This is a clear violation of his basic human rights. August 5th 2017 Mr. Janitskin was moved from police custody to hospital due to his serious illness, level 4 cancer. Finland is rated number 1 in the freedom of press index, however the publisher of one of the country’s most popular publications is forced to live in exile only for publishing the truth. Här en journalist som beskriver vem – vilka som styr vår värld i en riktning som bara gynnar dem själva en kort tid, men som skapar katastrof för moder Jord och oss i den stora allmänheten. Han berättar om den stora förljugenheten som skapar krig, nöd, miljöförstöring och sjukdomar, om ett rättsväsende som bara gynnar de rika, om politiker som lydiga redskap för den verkliga makten mm, en verklig sanningssägare. Svensk text i denna video, se den, sprid och agera!